Secure credit card processing from your Office, your Website, and On The Go! 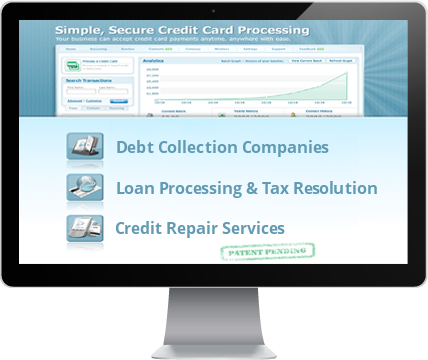 Perfect for Established or Startup Debt Collection Agencies (Consumer or Commercial), Credit Resolution Services, Financial Services, Medical Collections, Loan Modification, Business Consulting, Tax Resolution Firms, Attorneys, Student Loan Processing Companies. We have multiple underwriting merchant processor banks available to provide reliable payment processing services for your business. Retail (Swipe) and MOTO (Keyed-In) Accounts. Industry leading customer support to help you with any questions. 24/7/365 Back office client services to assist you with any issues and problem resolution. Easy online access to your statements. Multiple underwriting processor banks available. PCI Compliant, secure credit card processing for your financial services consulting businesses. Piece of mind from a reliable payment processing service for your debt collection, credit restoration, tax lien resolution, attorneys, startups, commercial or consumer, medical collections student loan processing and more!. Process Credit cards with any cell phone, including iPhones! Perfect for developers or businesses that require custom solutions for credit card processing. Access your Virtual Terminal from any computer with Internet access. Schedule recurring payments for your customers. 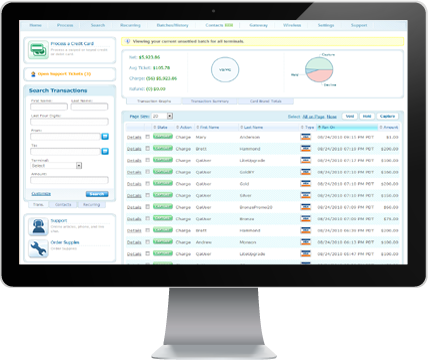 Easy to use system can allow you to schedule payments in advance, electronic invoicing, customer management and vault system. Manage your customer contact information. View all of your transactions, archived by date (batches). Dial our Phone Charge phone number to process a card over the phone. Accept credit card payments from your website.